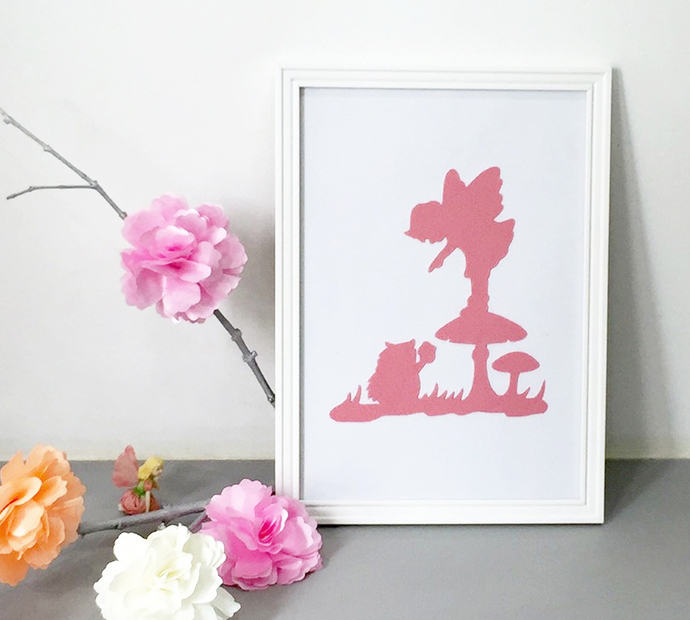 Inspired by the enchanted forest in a rainy day. 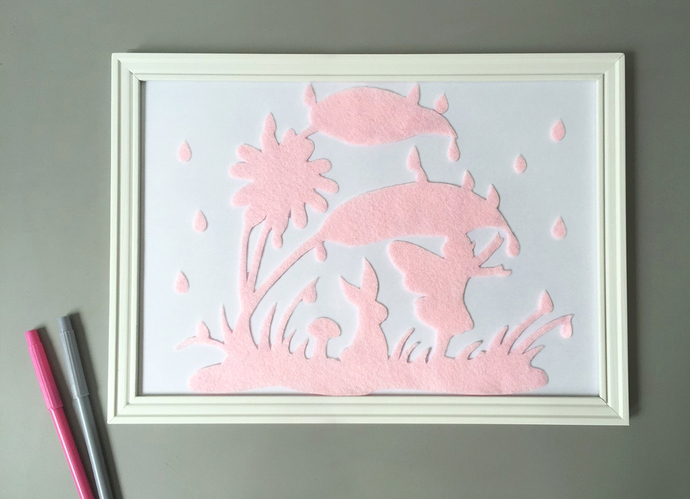 This is an adorable Felt art featuring a cute bunny and young fairy under the leave shelter in the rain. So whimsical. NOT framed! 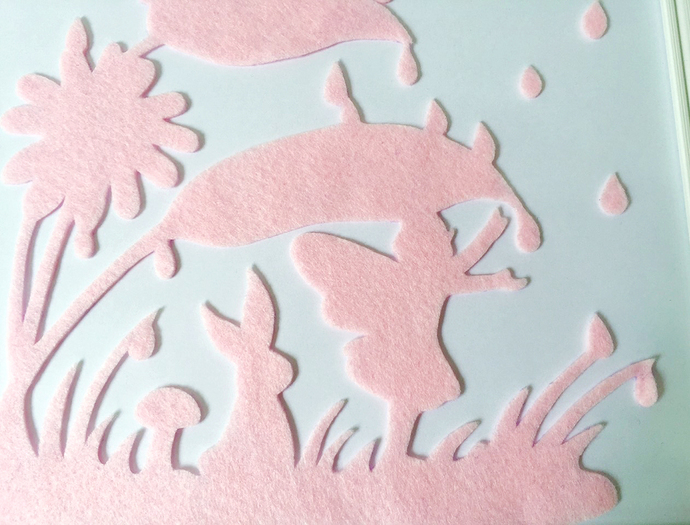 You will get a 100% hand-cut felt art only and some raindrops. **The Felt Art measures about 10inch X 8inch (Length and Height). NO frame. **Stick it on white paper by double-sided tape. Do not glue it. The glue may leave stain on felt. 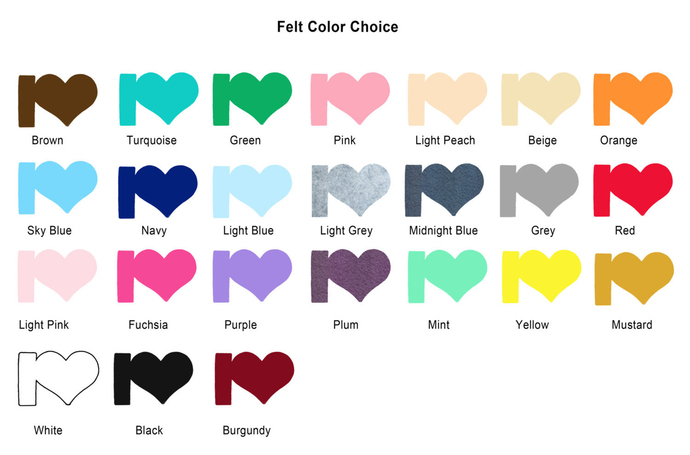 **A lot of colors for you to choose : ) Please refer to the 'Felt Color Choice'. **Check out more Wall Arts available in last picture and in my Shop.